It's no secret that as a listener and review, I'm drawn to the work of the rhythm section. Not that I don't appreciate a great saxophonist or guitarist but it's the response and the interaction with the people keeping the flow going that often catches my ears first. "Message In Motion" is bassist and composer Peter Brendler's second release for Posi-Tone Records (my review of the debut is here); happily, the album features the same ensemble as the first including Rich Perry (tenor saxophone), Peter Evans (trumpet) and Vinnie Sperrazza (drums). Guitarist Ben Monder joins the band on four of the 10 tracks. One of the more arresting attributes of the debut was how "open" and exploratory the music was and that carries over to this recording as well. The program starts out with a good "blues shuffle", the front line playing a sweet theme that leads into Evans' circular solo and into Perry's romp while the rhythm section keeps the motor running (though pay attention to how Brendler switches for "walking lines" to playing counterpoint. The playfulness of the bassist's infectiousness "Angelica" and it's a Sonny Rollins-like romp that features smart interactions between the bassist and Sperrazza. You can feel the spirit of playfulness on the swinging "Very Light And Very Sweet" and also on the Clifford Brown-like feel on "Didn't Do Nothing." While Brendler and Sperrazza "dance" around underneath, Perry and Evans build sparkling solos on both tracks. The "vocabulary" of the program changes with the deep blues of "Gimme the Numbers." The track features Monder's unique comping underneath the front line and the solos. His subtle solo near the close of the piece really captures the "smoky room" quality of the tune. He also appears on the cover of Elliot Smith's "Easy Way Out" but not until the bassist - with Sperrazza's fine brush work - introduces the tune with a splendid solo. Perry and Evan sit this out so Monder gets a longer spotlight. His "fuzzed" guitar also leads the way on "Lucky In Astoria" combining with Perry to present the theme ; the two then work and weave their lines around each other as the drummer and bassist spur them forward. The other "non-original" on the album is a playful rendition of Alice Coltrane's "Ptah the El Daoud" - Sperrazza's marching drums and Brendler's "oom-pah" bass lines accompany the front line as they read through the theme. The piece opens up in subtle ways as the bass expands on its rhythmic approach and the drums interacts with Perry on his expansive explorations. Evans goes "out" a little further with a series of spurts and sputters in the midst of his while the rhythm section continues to push forward. The blend of traditional rhythms and exploratory, even noisy, solos is a highlight of the recording. Come to "Message In Motion" with open ears and open mind; you will not be disappointed. 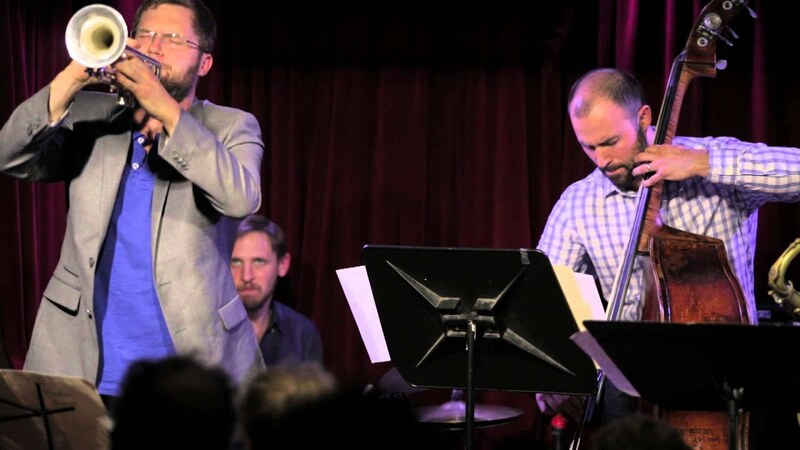 The music that Peter Brendler creates with Rich Perry, Peter Evans, Vinnie Sperrazza, and Ben Monder is lively, thoughtful, playful, exciting, and smart. This fine album makes one wish to see and hear this group live. To hear some of the music, go to www.posi-tone.com/m-inmotion/m-inmotion.html. To learn more about this fine bassist-composer, go to www.peterbrendler.com. For his debut as a leader, bassist and composer Ricky Rodriguez has created a portrait of a musician who understands that the most artistically successful albums feature musicians who enjoy challenges and the opportunity to shine. 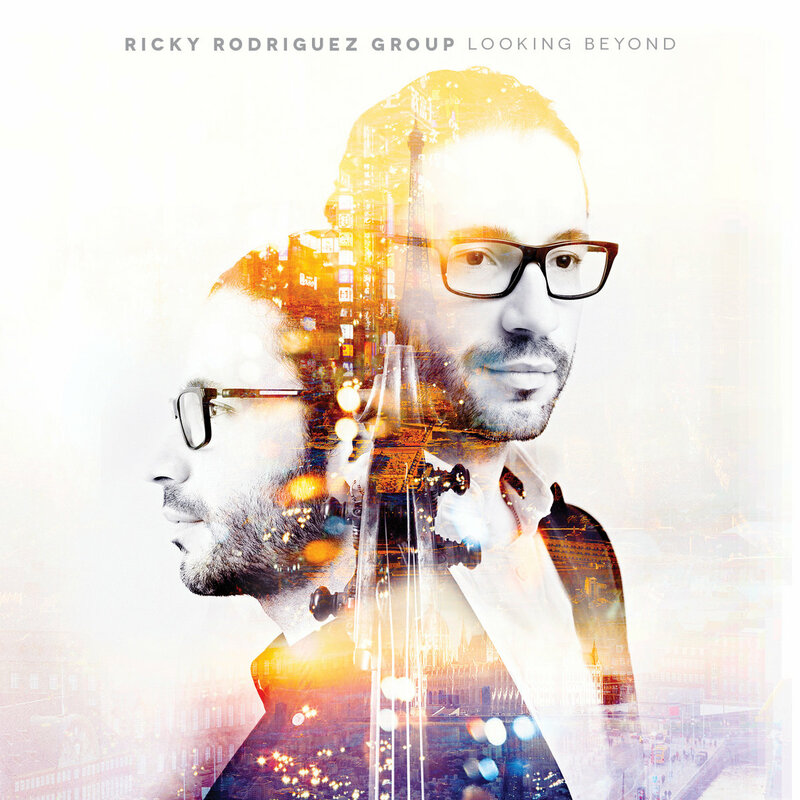 Therefore, "Looking Beyond" (Destiny Records Music) is credited to the Ricky Rodriguez Group. The core of the ensemble is the bassist (both electric and acoustic), the first-rate drummer Obed Calvaire, pianist (acoustic and electric) Luis Perdomo, and Myron Walden (alto saxophone, bass clarinet on all but one). Guitarist Aaron Rogers joins on six of the 10 tracks while the guests include David Sanchez (tenor saxophone), Pete Rodriguez (trumpet, no relation) and Obanilu Allende (barril de bomba). On first listen, the bassist's music is reminiscent of drummer Brian Blade's Fellowship (and not just because of the presence of Myron Walden). One can hear the influence in the medium-tempoed "Introspection" (featuring strong solos from Rogers and Perdomo) as the alto saxophone is used to express the melody with the guitar. The powerful work of Calvaire should not be ignored while the leader's fundamental bass lines give the song its direction and flow. The title track rises up from the fundamental bass lines played by both Rodriguez and Perdomo's left hand. Again, the drummer plays with power and intelligence. There is an impressive, melodic, bass solo as well as an immersive trumpet solo. Yet, there is also the lovely ballad "A Quiet Refuge" with the bass clarinet stating the melody and Sanchez playing counterpoint while Rogers plays harmony. The bassist's sparse accompaniment alone with the fine chordal work of Perdomo plus the quiet percussion create the impression of the song's title. The solo section features short solos from Rodriguez's bowed bass, the bass clarinet, the tenor saxophone, and the electric guitar. Percussionist Allende leads the Group in a call-and-response on "Stress vs. Relaxation" while piano, trap drums, and bass quietly then dramatically respond - which side is "stress"? Certainly not Allende and company but the musical trio don't sound stressed as much as released. "The Real Truth" is also a powerful piece, with a piano figure a la McCoy Tyner and a handsome melody played by guitar, alto and tenor saxophones. The rhythm section sets a torrid pace, especially on the second melody that opens to strong solos from Walden, Rogers and especially Sanchez. Perdomo switches between acoustic and electric piano throughout the song. The album closes on the short (1:34) "And Then..." which fades in to a melodic give-and-take over the two-handed piano chords and the conversational drums. It's a pleasing coda, serving to remind listeners that "Looking Beyond" is truly a group effort and reinforces the tone of this truly striking recording. Ricky Rodriguez, who has worked and recorded with vibraphonist Joe Locke, saxophonist Miguel Zenon, and drummers Henry Cole and Roland Vasquez, has created music that excites yet also relaxes, entertains, and gives hope in unsettled times. For more information, go to destinyrecords.bandcamp.com/album/looking-beyond and www.facebook.com/RickyRodriguezmusic?ref=br_rs.